You have no time to do your own research? You live away from western Michigan but that is where you need some help? You just do not know where to look next for answers? on-sight photography of buildings, gravesites, monuments, etc. 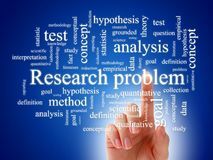 Do you need more information on hiring a professional researcher? FamilySearch.org offers you some very good advice…just click on the embedded link. An hourly rate is applied to all research and reporting work; reimbursement of customary expenses is added to the cost. A deposit is required at the start of work, when the agreement is signed. Further payments are negotiated in the agreement.